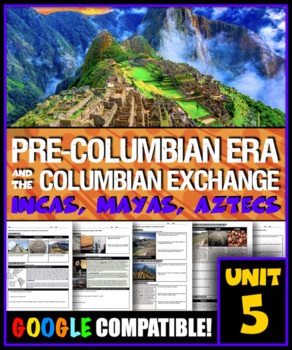 This bundle consists of EVERY Unit 6 Lesson (and additional resource) that I've uploaded to this site. PLEASE download the FREE RESOURCE before purchasing a bundle to make sure that my teaching style will work for your classroom. And, as always, Word Doc versions of my handouts are available in each purchase so that you may customize to both your personal preferences and and students' needs. And please -- leave feedback!